State Senator Michael Brady in 2015. State Senator Michael D. Brady was arrested in Weymouth over the weekend for drunken driving and pleaded not guilty Monday to one count of operating under the influence of liquor, one count of negligent operation of a motor vehicle, and one civil count of a marked lanes violation, according to court records and officials. When a Weymouth police officer pulled the Brockton Democrat over early Saturday and told the senator he would be testing his ability to drive a car, Brady handed the officer a Massachusetts identification card “and stated he was a state senator,” according to a written description of the arrest by police. Brady was unsteady on his feet, had bloodshot and glassy eyes, slurred his words, and his breath reeked of alcohol, police said. He failed several sobriety tests, they said. In a statement, Brady, 55, acknowledged he was taken into custody by police and apologized for the fallout from the arrest. “While driving home, I was stopped early in the morning on Saturday, March 24, by the Weymouth police on Route 18 in South Weymouth and placed under arrest. I was released later in the morning,” said Brady, who was first elected to the Senate in a 2015 special election and reelected in 2016. Brady, who police said declined to take a chemical breath test, said he doesn’t anticipate making any further statement in the matter. According to a police description of events, Brady “failed” multiple sobriety tests. Brady subsequently gave two officers a look of confusion, and then stated “Z,” according to the police narrative. Police say Brady was also charged with OUI on Dec. 4, 1998, in Weymouth. His driving record from the state Registry of Motor Vehicles shows a violation for failing to wear a seat belt on the same date, but not a drunken driving violation. The RMV record also shows another Brady seat belt violation on June 29, 2003. Brady served on the Brockton City Council from 1997-2009, according to his official biography. But Senator Karen E. Spilka, who has claimed enough votes to be the next Senate president, stopped short of expressing disappointment. John Diamond, who the Norfolk district attorney’s office said is Brady’s lawyer in the matter, did not respond to a request for comment. But the Massachusetts Republican Party, which hopes to unseat Brady this fall, knocked him within hours of news reports about his arrest. 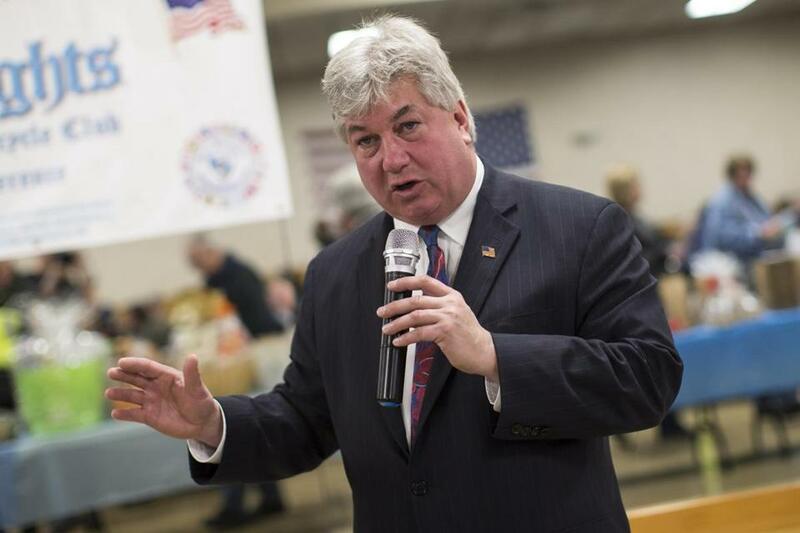 Brady represents Brockton, part of East Bridgewater and several other towns — a politically competitive Senate district. “It’s deeply disturbing that a sitting legislator would attempt to leverage the weight of his taxpayer-funded public office when facing arrest,” MassGOP spokesman Terry MacCormack said in a statement. “It’s why voters are fed up with the unaccountable culture in the Democrat-run Legislature, in which there is one set of rules for the insiders, and another for everyone else,” MacCormack added.